Self-etching. No rinsing. No priming. No mixing. 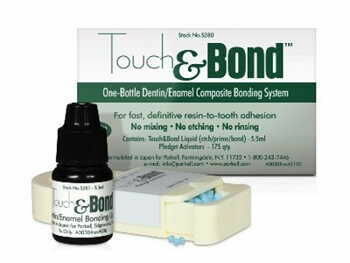 Creates strong bonds to dentin and prepared enamel. Quick-and-easy: only takes a minute. Extraordinarily thin film - only 3 microns - ideal for direct composites and indirect restorations. Can be used with light-cure or self-cure composites. Requires a halogen curing light. For LED users, try Parkell's Brush&Bond®.